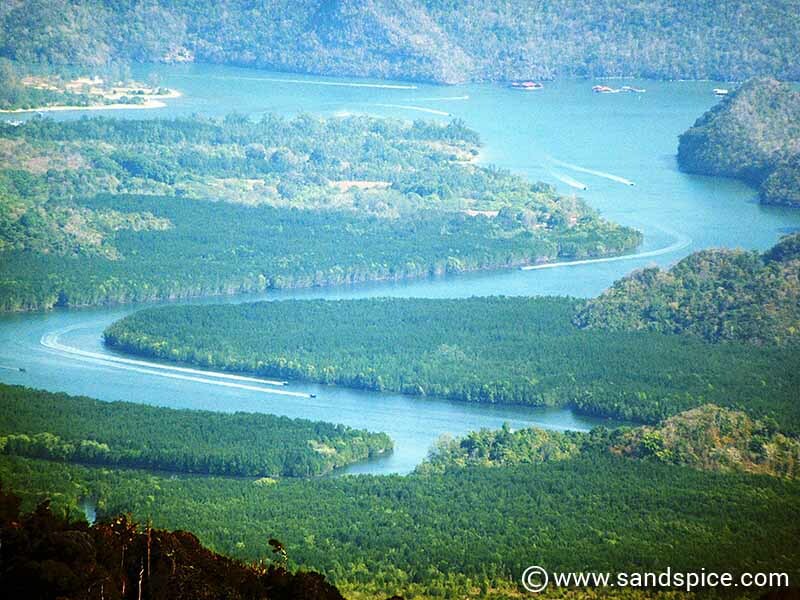 Among the most impressive features of Pulau Langkawi in Malaysia are the mountains. 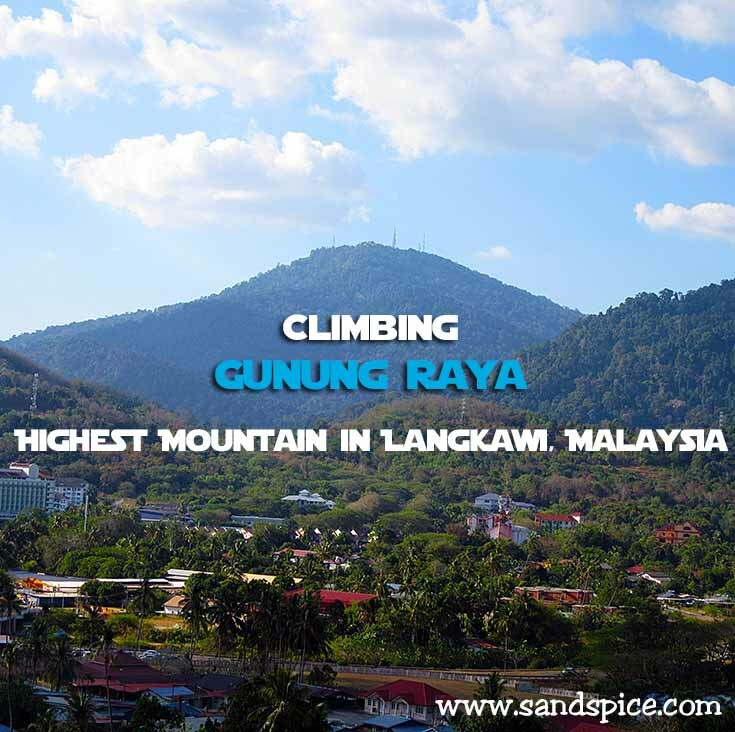 The highest of these is known as Gunung Raya, which dominates the island at 881 meters above sea level. Although not for everyone, climbing Gunung Raya by foot is a challenging but massively rewarding experience. Gunung Raya (literally ‘Mount Raya’) is named after a legendary giant called Mat Raya who was struck by a thunderbolt and frozen as a mountain. 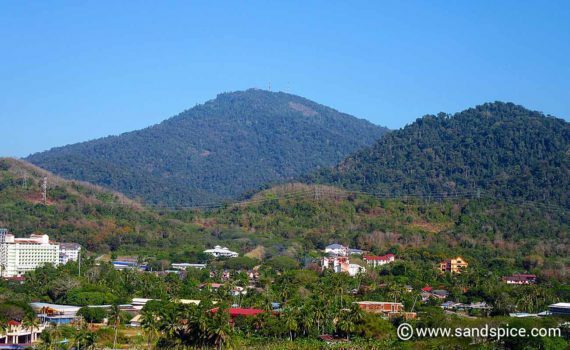 It sits at the center of the tropical island of Langkawi, 30 kms off the west coast of the Malaysian peninsula, between 2 smaller mountains – Mat Cincang and Bukit Sagar. 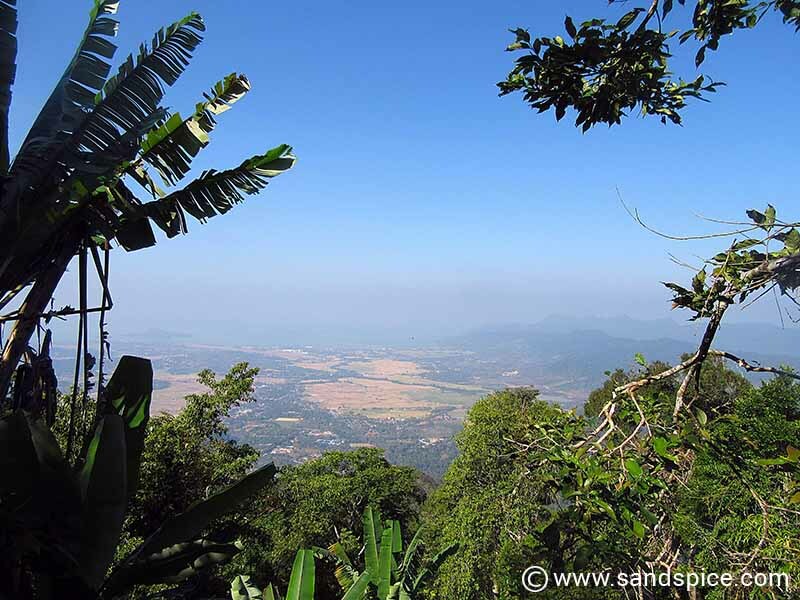 Climbing Gunung Raya – I can see my guesthouse from here! Completely covered with lush jungle, Gunung Raya and the other mountains of Langkawi boast some of the oldest rain forest in the world – dating back 10 million years. 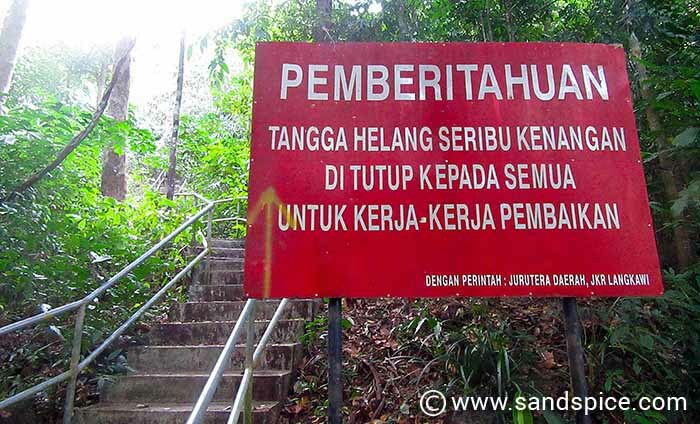 There are 2 ways to get to the top of Gunung Raya. 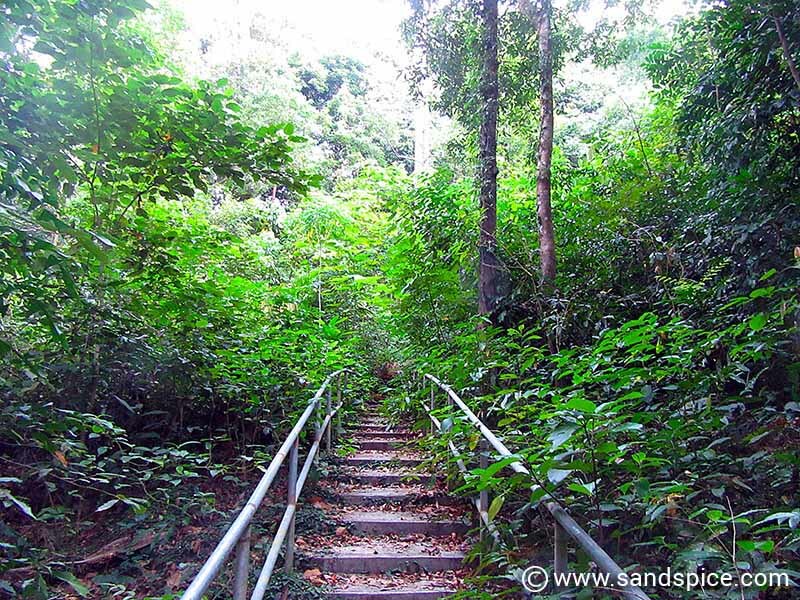 Either take a car up the circuitous road to the peak or walk up a really steep narrow trail under the jungle canopy. 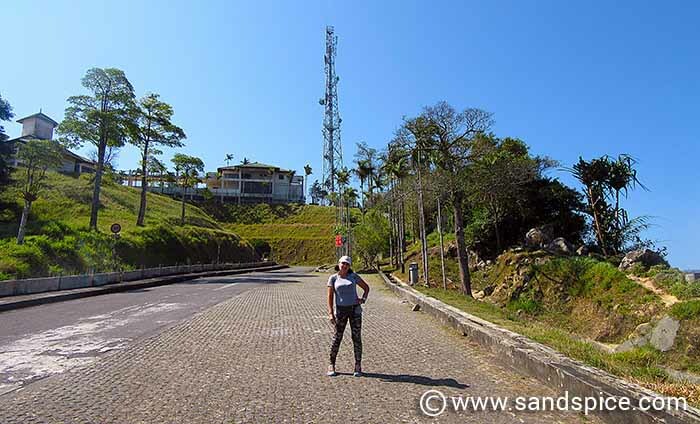 At almost 1,000 meters above sea level at it’s highest point, the walk involves climbing up (and down) 4,287 concrete steps from the start of the Thousand Memories Eagle Stairway up to the viewing platform just below the peak. To put this into perspective, this is equivalent to running up and down the stairs of a 10-story tower block 22 times, or once up and down a 214 story skyscraper (this latter option is impossible, since the tallest building in the world – the Burj Khalifa in Dubai – has just 2,909 steps and 200 levels). Things to consider in advance – Can anyone do this? You need to be reasonably fit if you want to try this. You should also wear good walking shoes or boots. If you want to avoid insect bites you should cover up your legs, though this isn’t a big deal – I was fine with just shorts. Ideally, you should carry with you a couple of liters of water each (there is nowhere to buy water – or anything else for that matter). A small picnic is also a good idea, but don’t weigh yourself down too much – it’s a persistently steep climb. … and make sure your mobile devices are fully charged – you probably won’t be doing this a second time! Finally, don’t think about climbing Gunung Raya if the ground is (or has recently been) wet. How long is this all going to take? 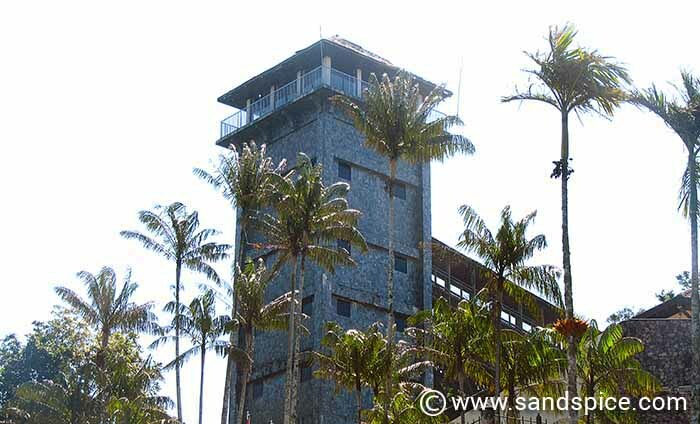 Officially, the climb up to the viewing platform at the top should take 2¼ hours, and the climb back down another 1 hour. When you reach the top you’ll no doubt want to take pictures, walk the extra section to the tower (the highest point you can reach), and maybe have a picnic. All this will take around another hour, so all together you should count on 4 hours for the round trip. When is the best time of day to set out? We started early in the morning, on the assumption that the climb should be easier if you avoid the heat of the day. In fact, throughout the whole climb we were completely sheltered by the jungle canopy, so the actual time of day made very little difference. Of course, you don’t want to be climbing back down in the dark, so it’s unwise to begin your ascent any later than 3:30 in the afternoon. 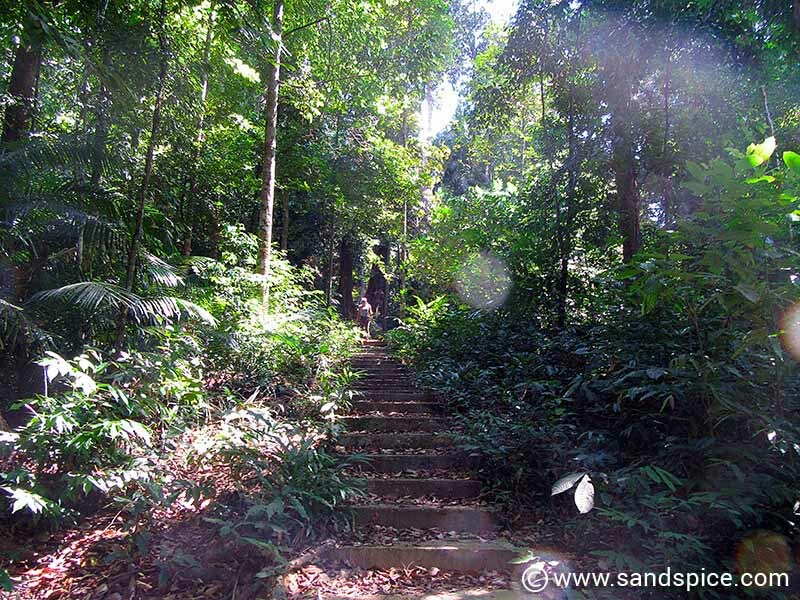 We set off from our apartment in Kuah early in the morning, reaching the Thousand Memories Eagle Stairs by around 09:45 am. 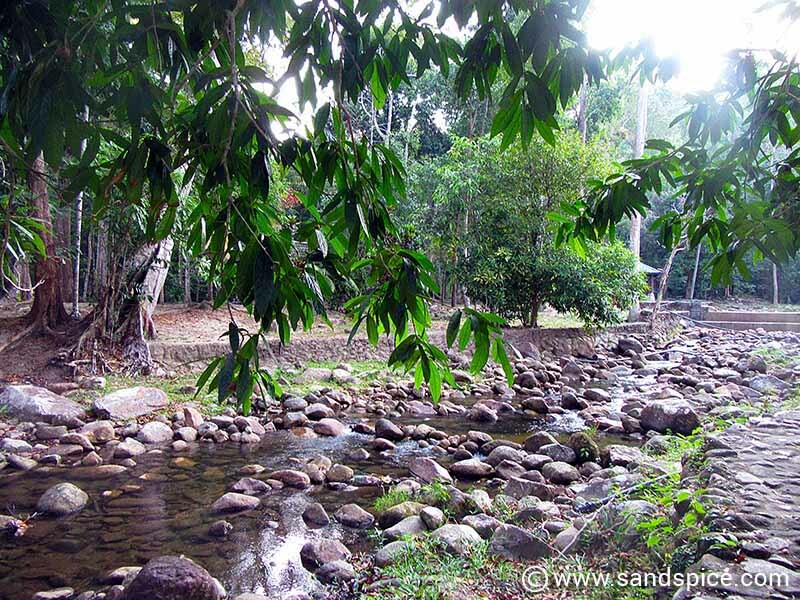 There is a river and picturesque park area that you can walk through before you reach the foot of the stairs. When we arrived the area was completely deserted. In fact, we wouldn’t be seeing anybody at all until we got to the top of the mountain. 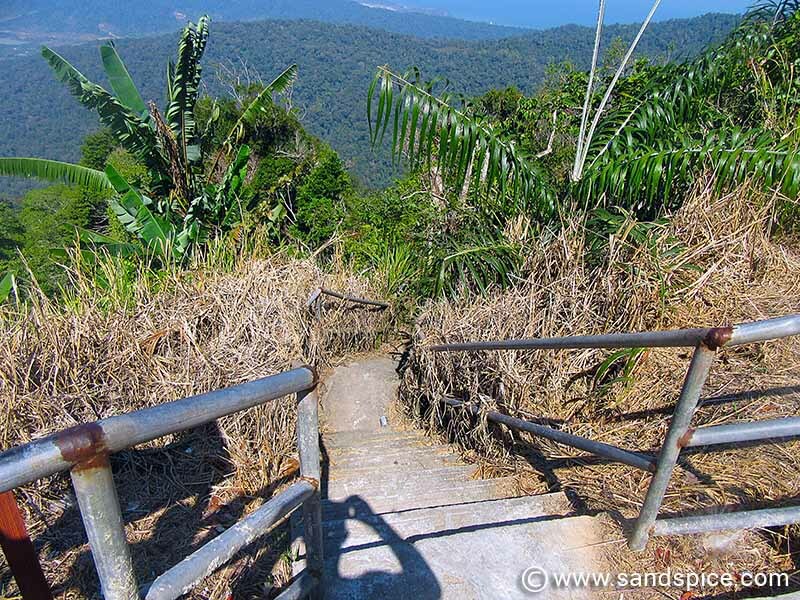 So it was very quiet and peaceful when we finally arrived at the entrance to Tangga Helang Seribu Kenangan – ‘The Thousand Memories Eagle Stairs’. They must be talking about muscle-memory here, because for the next 7 days your calf muscles will remind you about every one of those 4,287 steps. Built between 2000 and 2001, the 4,287-step stone stairway covers a distance of 3.1 kms with an ascent of 732 meters. The estimated time of travel up is 2¼ hours. A red sign next to the staircase said ‘Closed to all for repair work’ (in Malay). Not being overly proficient in the local language, we put our best feet forward and started the climb. The climb up to the peak is naturally divided into 2 phases. I like to refer to these as ‘Little’ Raya and ‘Big’ Raya. Little Raya takes up about 2 thirds of the uphill journey, eventually easing off and then leading downhill a short way to the start of Big Raya. After just 200 meters of our start up the stairs we reached our first obstacle – The path was completely blocked by a large fallen tree. As we were to discover, this was the first of many obstructions that block (and have sometimes destroyed) the concrete stairway and handrails. To advance further, the only option is to step off the path and find your way around the obstruction through the jungle (this is why you really need to be wearing good walking shoes and socks). Apart from the bugs and flies, you don’t want to accidentally disturb any snakes or poisonous centipedes. During our ascent, we had to leave the stairs around a dozen times to find our way around fallen trees and destroyed sections of the steps. Clearly there was still a lot of repair work to be done. In the lower stages of the climb we could hear the grunting and movement of monkeys in the surrounding jungle, but didn’t catch sight of any of them. There was plenty of black monkey poo on the steps to avoid. In the upper areas of the mountain, we could hear the famous hornbills high up above the canopy, but again no sightings. You know you’ve reached the summit of Little Raya when the path flattens out and then starts to go downhill for 100 meters or so, before heading up even more steeply. 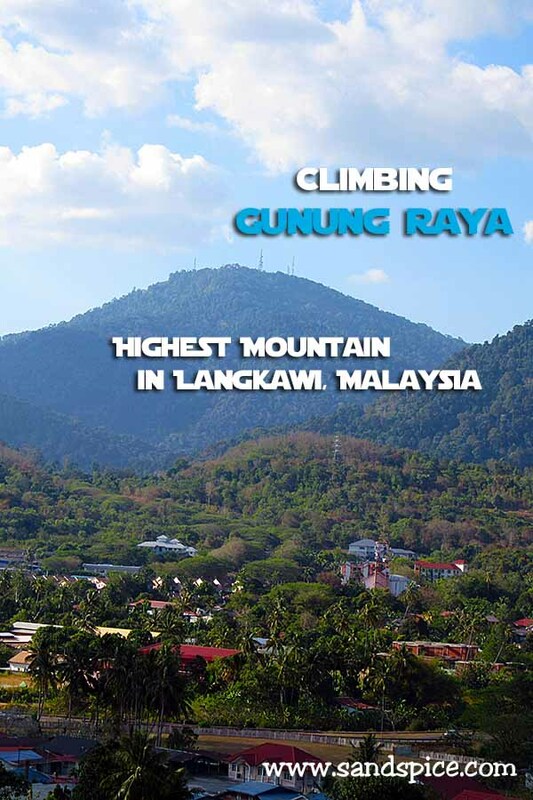 Big Gunung Raya is where the ascent becomes challenging, with steep steps leading up almost vertically in places. Some of the steps are uncomfortably high, giving the impression that you are actually ascending a ladder. Fortunately, at these points you have the assistance of a metal rail on both sides to hang on to. You will need these rails – especially coming back down. By this point, our hearts were pounding and we were taking short breaks to drink water and catch our breath. The canopy overhead seemed to be getting thinner: Surely by now we were not too far from the top? After a total of 80 minutes of climbing, we began to hear voices above and ahead. Another 10 minutes and we emerged through the canopy to the viewing platform at the top of the stairs. A handful of tourists seemed surprised to see us appear out of the jungle. It appears we were the only ones that morning who had chosen to take the scenic route up. So it had taken us 1½ hours to complete the 4,287 steps up to the top of the stairs – a little under the estimate. There are some stunning views towards the west and south from the viewing platform. If you’re in search of a 360° view you need to follow the road further up to the tower at the top – another 20-minute walk, but thankfully no more steps. Unfortunately, when you get there you’ll find the tower closed, and the anticipated 360° view off-limits. Apart from the disappointment, I can only describe this as a missed opportunity. Apparently, the tower has been closed to the public for quite some time, and there’s no indication of when or if it will reopen. We sat on the steps leading up to the tower and ate our picnic. There was absolutely nothing up there apart from some wild dogs, a suspicious security guard and a couple of tourists on a motorbike looking as bewildered as ourselves. Climbing back down – It doesn’t get any easier! After half an hour or so, we returned to the observation platform to start our descent. With an estimated descent time of 1 hour, this should surely be a lot easier than the climb up. After about 10 minutes of beginning our descent, we both experienced a peculiar feeling in our lower legs. A rapid spasmodic trembling of the muscles which we didn’t experience when we were going up. Climbing down was technically much harder than climbing up, with a greater chance of falling. We had to really take care with our footing. We didn’t want to fall here. We were alone and a long way from any help, and as in all the best horror movies we had no mobile signal. Surprisingly, coming down the stairs actually took us the same amount of time as coming up – 1½ hours. By the time we reached the bottom we were pretty hot and sticky and the river at the bottom seemed really inviting. Next time we’ll save our picnic until the end, and enjoy it while bathing in the river. Next time? Definitely! What an interesting way to burn off 2,000 calories 😉 … but we would be avoiding any stairs for several days afterwards. 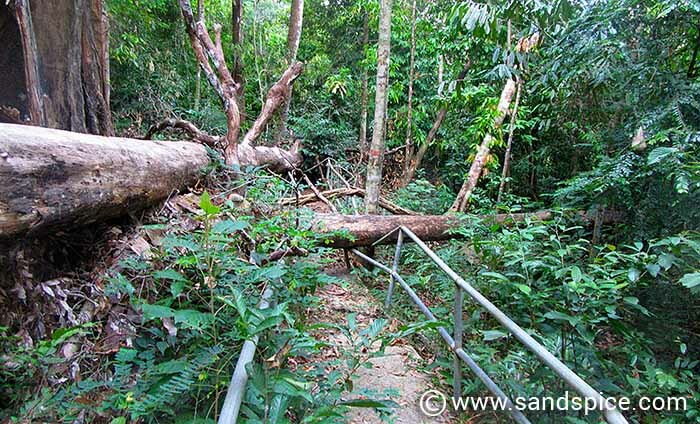 Climbing Gunung Raya was just one of the activities from our 13 Weeks in Langkawi.